I'm baaaack! Sure, it’s only been two weeks, but it feels like forever since I’ve last posted. While many of you were off celebrating the holidays, I was frantically moving across states. And then the wait…. That awful wait until internet could be connected at the new place. Sometimes I think that was the hardest part of the move. But I am now connected and I feel my lifeline being restored. Just as we have a New Year coming in, I feel like I have a new life beginning. Before we get started with our post today, I do need to take care of some business. 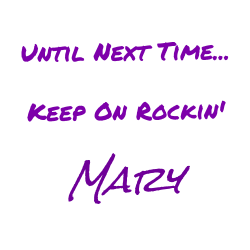 My last post went live after I had packed up the computer and well, frankly, I’m an old fart that doesn’t like writing posts from my phone or tablet. While I sucked up the data responding to comments, I now need to post the results of the December Battle of the Bands. 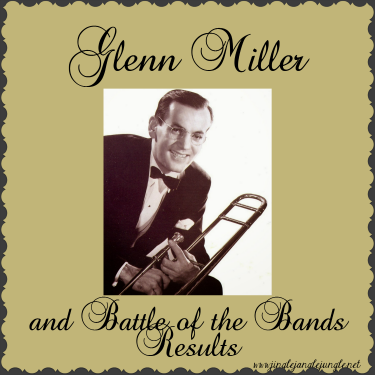 The battle was ‘It Happened In Sun Valley', with the contenders being Jo Stafford, The Fraser Hayes Four, and Glenn Miller. Overall, it was a pretty good battle, and I hope that everyone enjoyed learning a little about one of my favorite places. Thank you everyone for indulging me with your votes while I was out! We'll have a new round of battles on January 15th, with new songs and new contenders. Now… on to today’s regular post! I’m still in a bit of a Glenn Miller mood and since technically today (Jan 1) is still a holiday, I’m sharing 5 more Glenn Miller tunes. How were your holidays? What are your plans for the coming year? Do you make any resolutions? Talk to me in the comments below. Today’s post is part of the Monday’s Music Moves Me blog hop, hosted by X-Lax Dolly, and co-hosted by JAmerican Spice, Stacy Uncorked and Curious as a Cathy. Be sure to stop by the hosts and visit the other participants. That was a very close Battle, MARY. Congratulations on that... and the move. Glad to hear life is beginning to be restored to your version of "normal". Ha! It's too bad that THE FRASER HAYES FOUR didn't reach FOUR votes. I know I did MY part. Happy New Year to ya, MMQE! It was a really tight battle. One of my favorites, and not just because I got to talk about one of my favorite places. Still slowly getting settled in to the new place, but it seems to be working out alright. Thanks so much for your continued support and friendship. X-Lax Dolly? I think Marie is going to have a good, long laugh over that (Unless I missed something, which I've been known to do). I'm old school, myself - I tried and tried to comment on another 4M blog this morning on my phone and almost ended up hurling the phone across the room. No tablet blog writing for me, either. So, Glenn Miller really put me in an old time mood - still dancing to In the Mood. Go, girl, and Happy New Year to you! Glenn Miller is a lot of fun to listen to. I'm gonna have to have a good long think about what my next post will be. Thanks for dropping by! Great battle, even if Jo Stafford didn't win. Like I said then, all three of these were good and it was hard to pick a favorite, so any way it went, I'm happy. Glenn Miller, a great bandleader and a great American. He had more hit records than either Elvis or The Beatles, according to Wikipedia. They never did find that plane, I guess. Great choices for your set! I thought I'd stay with Glenn Miller today so that those nursing hangovers would be able to listen :) Thanks for dropping by! Glenn Miller is the best. Thanks for featuring him. Hope you and your family have a wonderful New Year. The New Year is off to a pretty good start. One day down, 364 to go! X-Lax Dolly??? I truly hope that was a mistake!!! hahaha HAPPY NEW YEAR GIRLFRIEND & Congratulations on your move! You made it & I truly know that was tons of work. You need to take a day off just to rest that's for sure! Great tune here! In fact, the song "In the Mood" was the first rockin' roll song I learned on the accordion believe it or not. hahaha I can still play that tune too! lol HAPPY NEW YEAR & CONGRATS once again! BIG HUGS! It's true. I do enjoy my heavier rock, but every so often I get a hankering for that big band sound. Thanks for dropping by! Hmmm, some how I missed your mid-December battle! I guess it was all the holiday stuff going on and that's a lame excuse on my part but that's I've got. lol Your showdown was terrible close, though. So happy to hear that you got moved and now settled. I can't believe you did all that did in just two-weeks. Amazing! Glenn Miller is so soothing. What a wonderful way to usher in the new year! I feel like I've been transported to a different time. WWII was horrible but the era was so innocent compared to today. Thanks for sharing the dance floor with the 4M gals and may God bless you throughout 2018, my friend! My December battle actually posted after I had packed everything away. Given everything that was going on - the move, the holidays, etc, I think I had a real good turnout. The last two weeks of December were incredibly busy for me. Thanks for stopping by! So glad you're back! Thank you for sharing these great tunes. I'm not much for New Year's resolutions because it seems to me that a will to do something should not tie into a calendar page. ~grin~ In fact, I'm dreading how packed the gym will be the next few weeks. It's been so cold I used that excuse not to go yesterday. Need to get in there since they closed for both holidays. Be well! so... starting the year off right with excuses. Love it! That's my story and I'm sticking to it. Thanks for the welcome back. That's awesome! I would have loved that.